Which Scout will u retire ? Long time didnt post on forum. Need some help. Who will u retire out of this group of scout ? 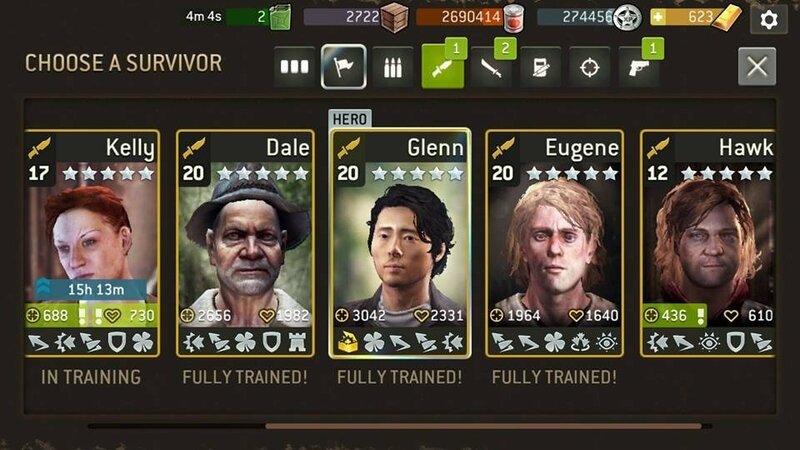 If I had to get rid of one survivor it'd be Dale because no Dodge or Strong and he has Defensive Stance, if two then add Eugene to the compost heap. Eugene is the one I'd boot out. He's lacking retaliate. And the power strike is fairly useless for me on a scout, since it only activate on NOT moving, and I almost always move them on their turn. Kelly has a perfect combination of traits. I'd go with Eugene because he does not have Retaliate. That is a very good move to have for a Scout because of their low health.